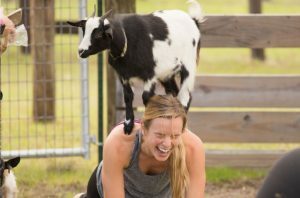 Sunday Funday: Fainting Goat Yoga, by Fashionably Kate. Fashionably Kate is produced by Kate Andrews, a former television news producer and TV show host based in Boston. Last Monday my husband and I drove to Great Rock Farm in Georgetown, MA. 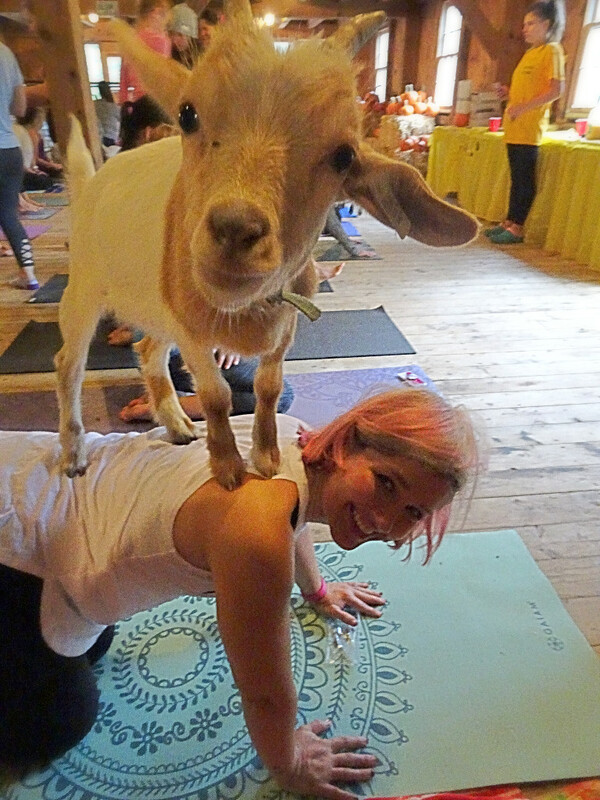 But instead of donning our fall duds, we were dressed for a yoga class. 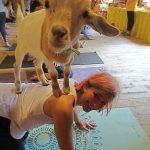 A yoga class … with goats that is.